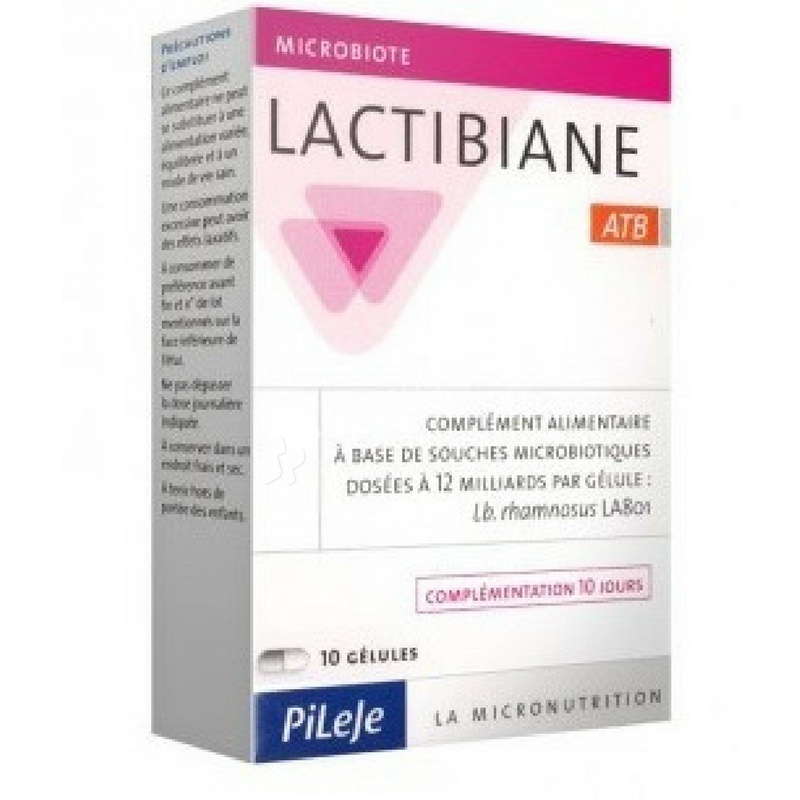 Pileje Lactibiane ATB contains a microbiotic strain Lactobacillus rhamnosus LA 801 in the dose of 12 billion bacteria per capsule. The microbiotic strain selected by PiLeJe for inclusion in Lactibiane ATB is registered in France's national microorganism collection (CNCM). The microbiotic strain selected by PiLeJe for inclusion in Lactibiane ATB is registered in France's national microorganism collection (CNCM).